Knit, Crochet, Needlepoint or Punch Needle Rug Hook Your Adventure! Park Wanderer Yarn Club is a handwork club dedicated to celebrating the joy of the journey and the beauty of the destination. Join us as we explore three of America's Great National Parks—Acadia National Park, Crater Lake National Park and Mesa Verde National Park—through handwork! 3 amazing packages filled with unique, carefully curated, on-trend projects (knit, crochet, needlepoint or punch needle rug hooking depending on your club choice), a fun surprise, a collectable, and other goodies, PLUS a handy Club Bag for you to carry your gear on the journey. Join a Park Wanderer Members-Only Facebook Group where you will receive support, encouragement, and community with other needle crafters from all over the USA and opportunities for prize drawings. 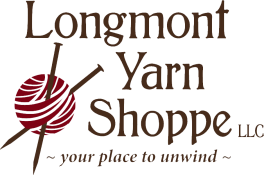 Providing in-person project support at Longmont Yarn Shoppe, including kick-off events and ongoing support to assist you on your project journey. 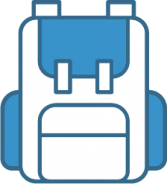 Early-bird sign ups start March 25, 2018. Your first shipment will arrive near the end of May, 2018. Each month join us for 2 gatherings at the beginning of the month to share in community and handwork. After that, your next provisions will arrive near the end of each month, cast on for each project on the first Friday of the month.